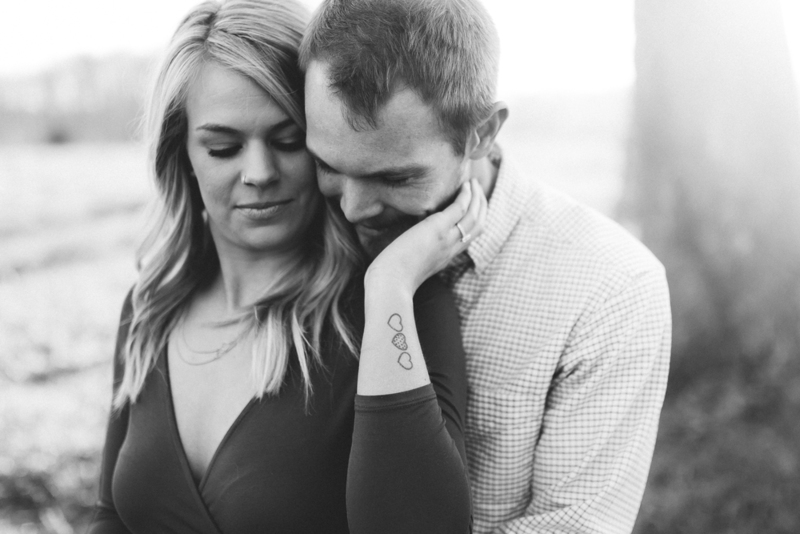 Kelly and Chris are two of the sweetest people you will meet. 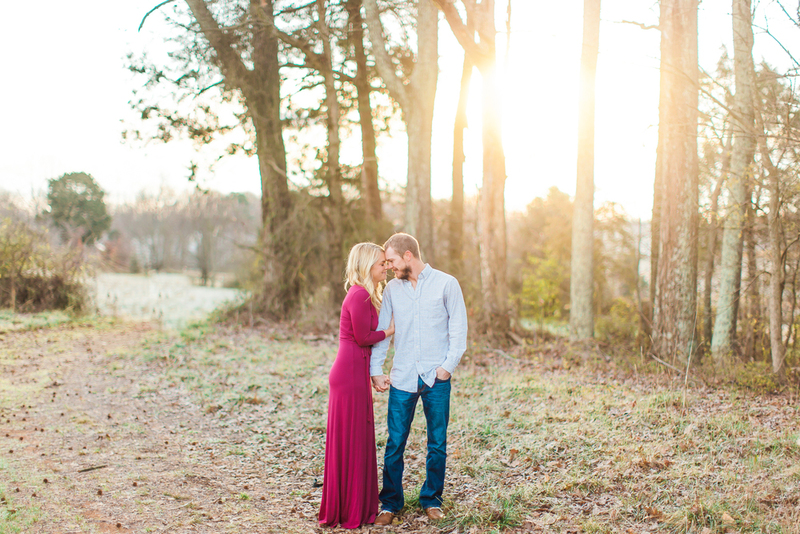 We decided on doing their engagement session early in the morning in order to get the perfect lighting, and they were more than okay to get up early with me! 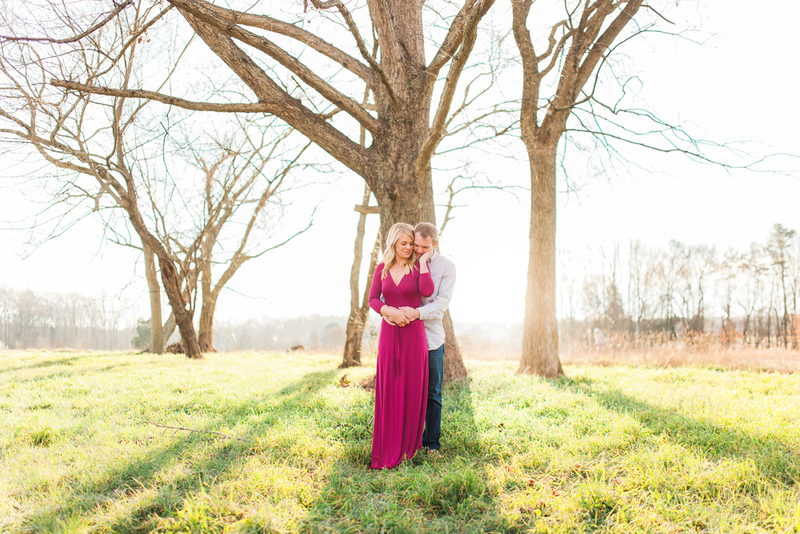 Side note: I may have had two cups of coffee before starting this session Saturday morning..
Kelly wore the most beautiful cranberry colored dress. I am always curious what my clients will choose to wear, as I enjoy seeing their personality come out in their clothing. Their outfits were more than spot on and the colors mixed perfectly with the surrounding. I am so excited for these two and the years ahead of them. 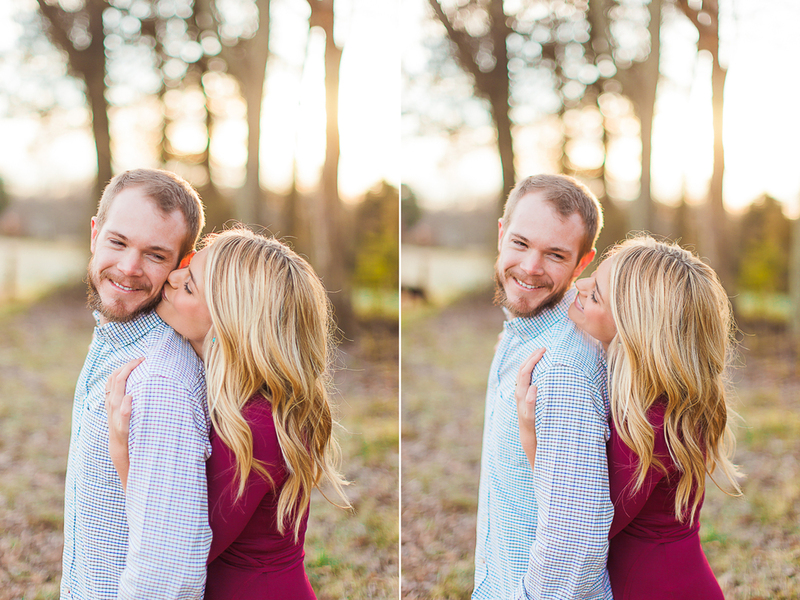 Just from our short session I can see Chris as a calm, loving husband to Kelly. And I see Kelly as the faithful, supporting wife. 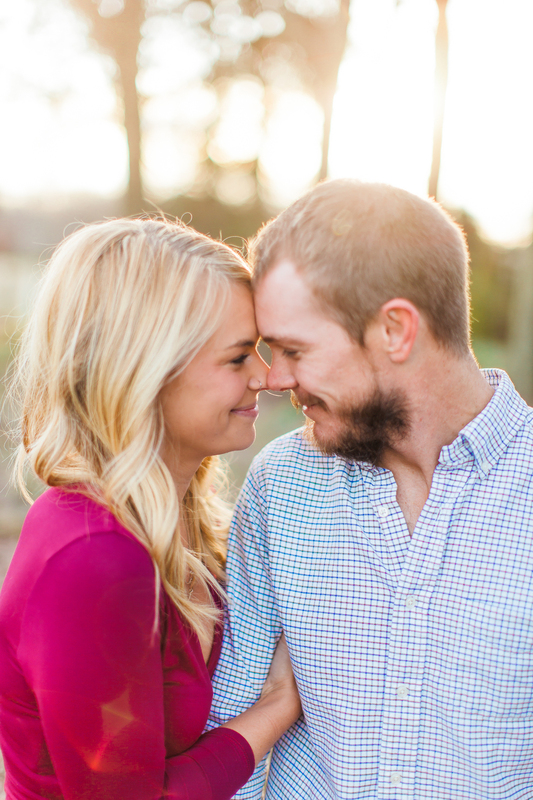 These two are the perfect match, and I am so excited to capture even more of their love story in April at Hodges Farm!